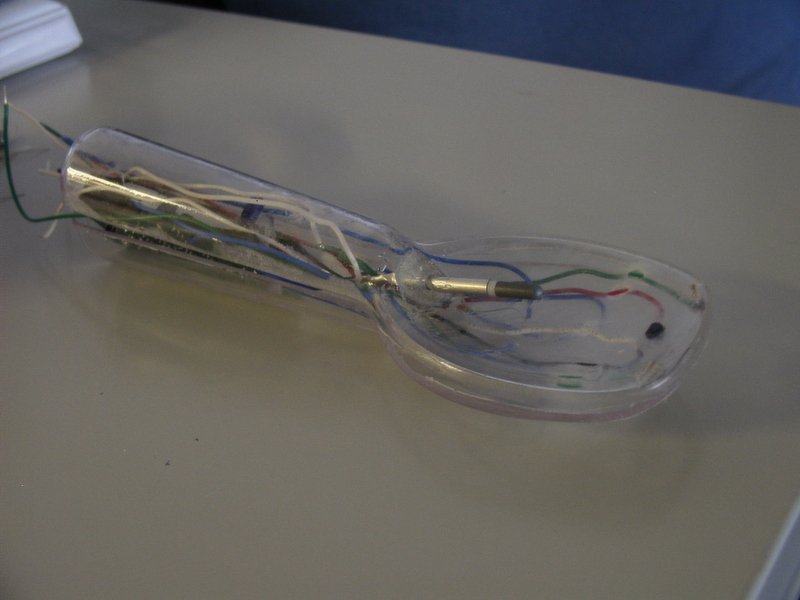 click photos for larger versions This project aims to introduce computing into traditional culinary utensils. 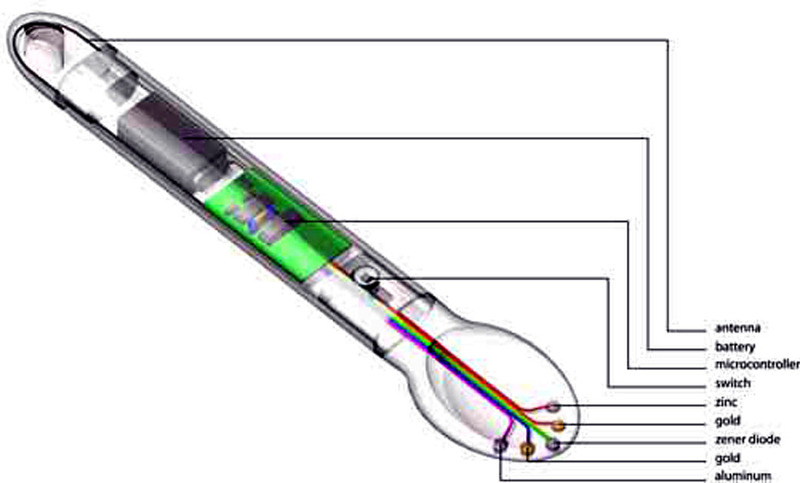 It seeks to provide information, in an integrated manner, about any food the spoon is in contact with, and to offer suggestions to improve the food. 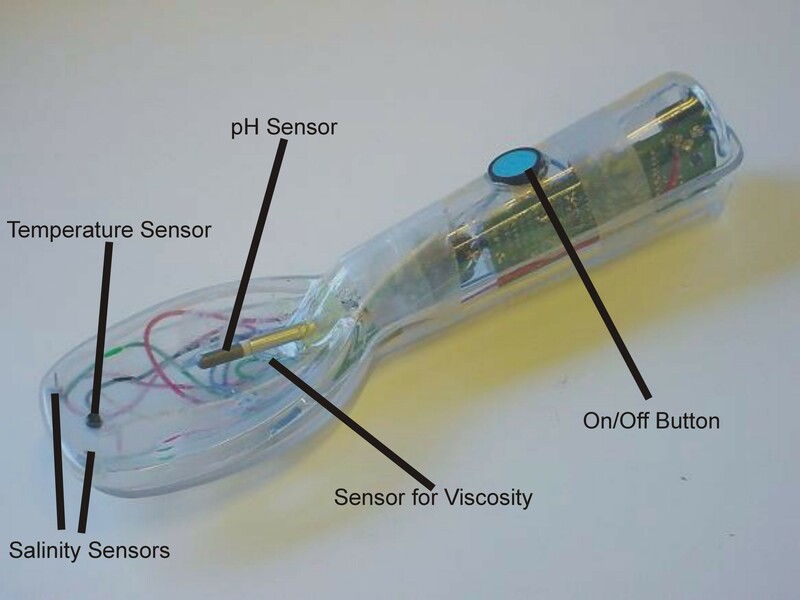 The spoon is equipped with sensors that measure temperature, acidity, salinity, and viscosity, and is connected to a computer via a cable. The sensors evaluate the different properties of the food, and send them to the computer for further processing. 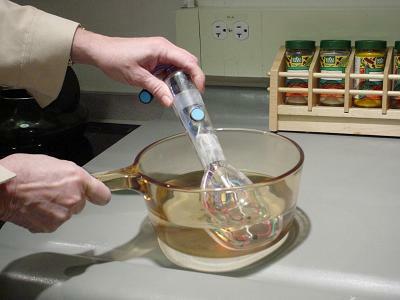 Apart from consolidating measurements that are normally done by an array of equipments into a single spoon, the information obtained can be used to advise the users what their next step should be; for example, it tells the user if there is not enough salt in the brine prepared to make pickles.